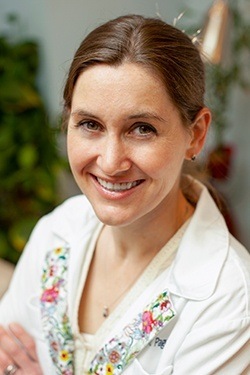 Dr. Erin Page earned her undergraduate degree from the University at Buffalo in 2005 and her DDS from the University at Buffalo School of Dental Medicine in 2009. She completed a general practice residency at Upstate Medical University at Syracuse in 2010 and has been in private practice since. Dr. Page is dedicated to helping her patients reach and maintain optimal oral health by providing the best possible care. She presents her patients with options, so that together they can choose the best treatment to meet their needs. Dr. Page is also trained to administer Botox to treat TMJ disorders and has been designated as an Invisalign Preferred Provider each year since 2013. When she’s not treating patients, Dr. Erin Page enjoys the outdoors, travel, physical fitness, and an active and healthy lifestyle with her husband and two young children.